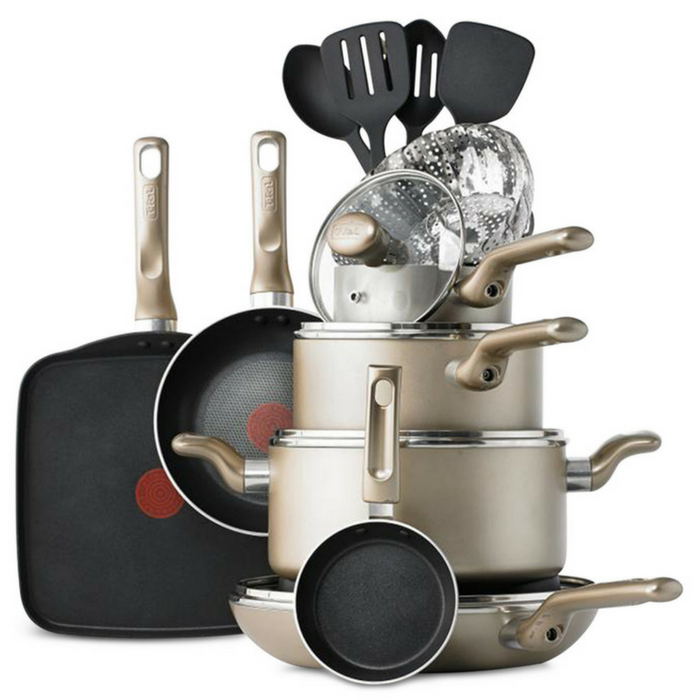 T-Fal Culinaire 16-Piece Cookware Set Just $69.99! Down From $170! PLUS FREE Shipping! You are here: Home / Instagram / T-Fal Culinaire 16-Piece Cookware Set Just $69.99! Down From $170! PLUS FREE Shipping! This is perfect for the coming Thanksgiving or Christmas holiday! Head over to Macy’s where you can get T-Fal Culinaire 16-Piece Cookware Set for just $69.99 down from $169.99 PLUS FREE store pick up or FREE shipping! Hits the spot. Crafted with Thermo-Spot Technology, this on-point set features center patterns that turn to solid red when preheating is over & it is time to cook. Even thorough heating & effortless food release make each piece a winner for dinner & every meal in between. One-egg wonder fry pan is just the right size for whipping up a fried egg in the morning!